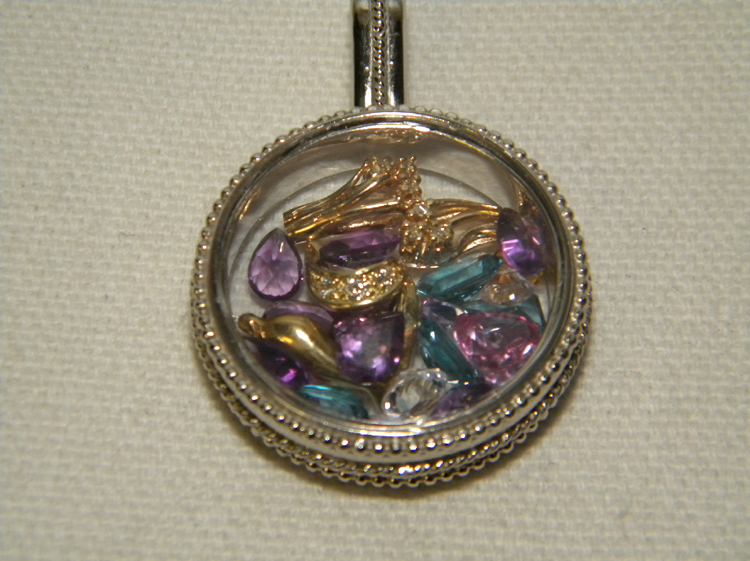 Small gemstones from a treasured family heirloom, set between clear watch crystals gives new life to broken jewelry. Do you have a favorite piece of jewelry just sitting in a drawer because it's broken? Maybe it's a family heirloom that just doesn't suit your personal style? Stop in to our CNY area showroom today with your old jewelry, and we'll find ways to transform it into something you'll treasure.